In order to test our multitouch event triggering functions, we need some way to see which touches have been triggered. 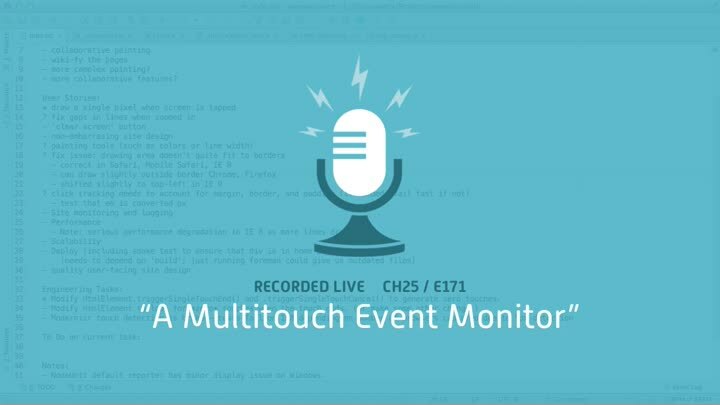 Our existing tests don’t do that, so we create a new event monitor for inspecting touch events. We use it to create a new triggerTouchEnd() function that will replace our existing (and incorrect) triggerSingleTouchEnd().